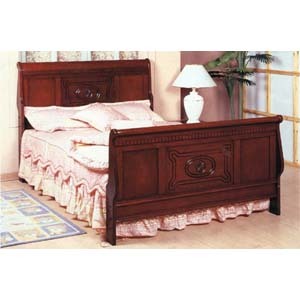 Carved Cherry Finish Queen Size Sleigh Bed. Easy To Assemble. Size: 59-1/2W. X 48H./33H..